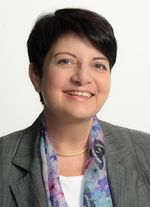 Gianna has 35 years of solid management experience in the airline industry; Revenue Information, Route Profitability, Operations, Marketing and IT. During her career, Gianna has developed her experience throughout all airline business units. With 15 years of in-depth consulting experience in the airline and airport industry Gianna has supported her clients from the vision to successful implementation, leading successful projects for IATA, BA, QF, ATPCO, Star Alliance, SkyTeam Alliance, Berlin Tegel and many more. She has a passion for leading multi-cultural global teams to achieve measurable outstanding outcomes. Gianna has a talent to combine in-depth business knowledge with strong team building capabilities leading to high performance teams delivering significant achievements. Boutique investment banking and advisory firm specializing in aviation and travel industries. Supported global clients to develop, transform and implement business strategies, operating models (people, process and technology).